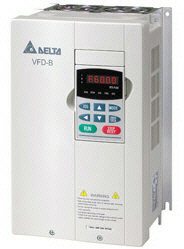 The Delta VFD-B series is a general purpose NEMA 1 drive and offers V/F, Sensorless Vector and Closed Loop Vector control. With its Constant Torque rating and 0-2000Hz output, the VFD-B is designed to handle most conventional drive applications found in the industrial manufacturing industry. The VFD-B series drives are used in many applications including: HVAC, Compressor, Crane Gantry, Elevator, Escalator, Material Handling, Water/Wastewater, and Woodworking to name a few. 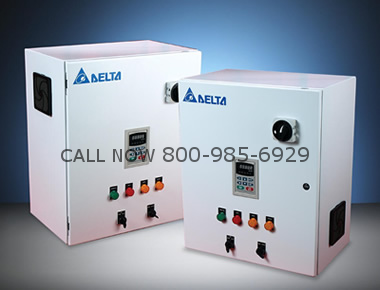 Purchase your Delta VFD037B53A NOW!